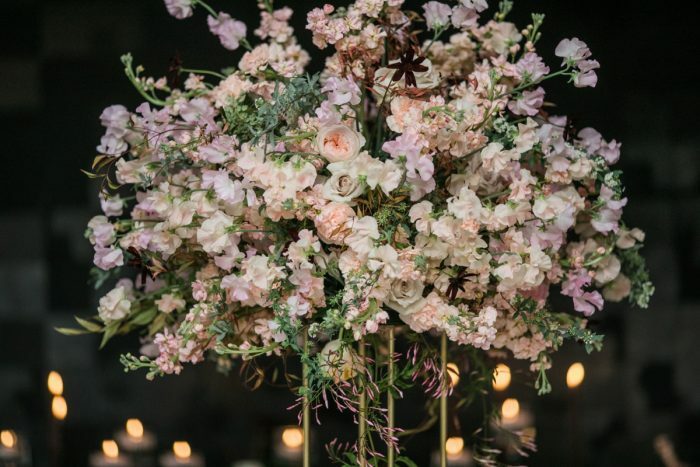 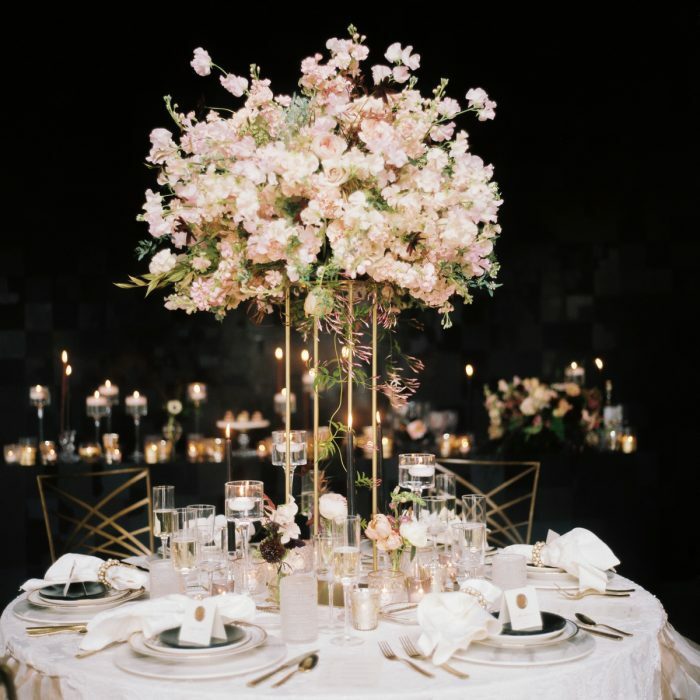 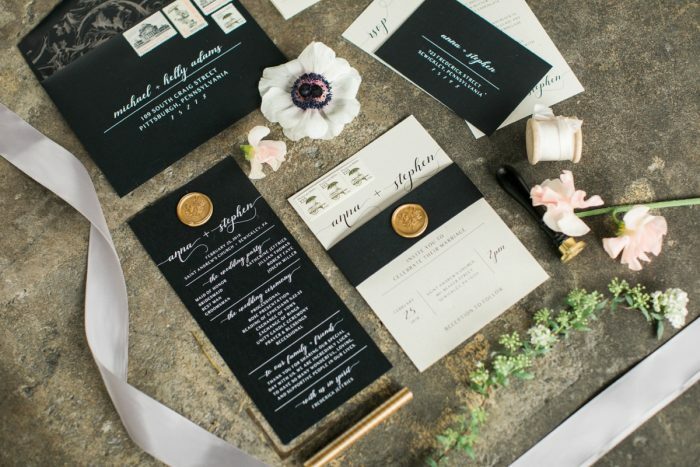 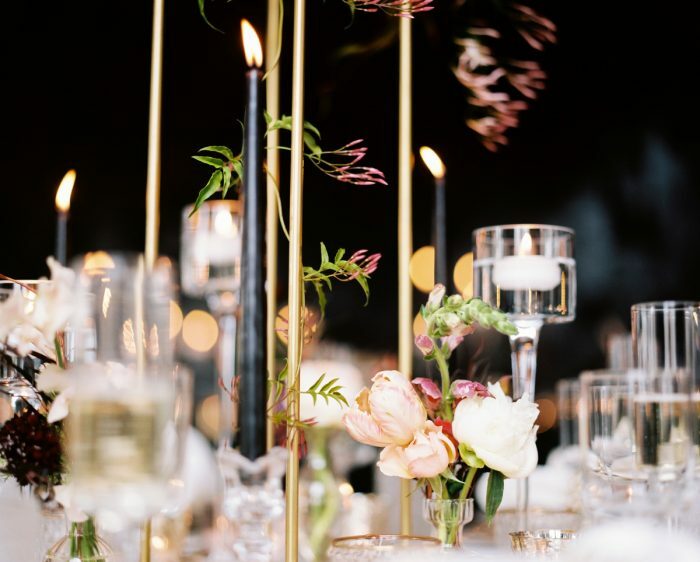 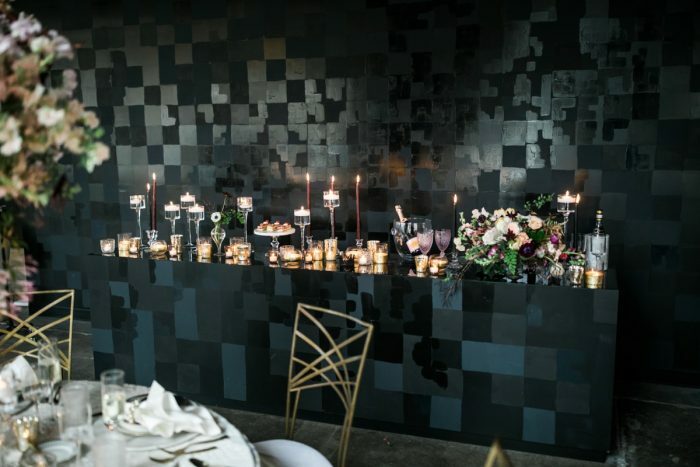 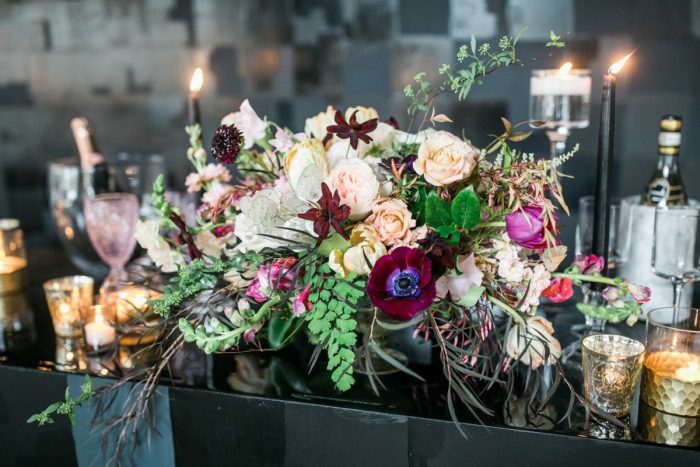 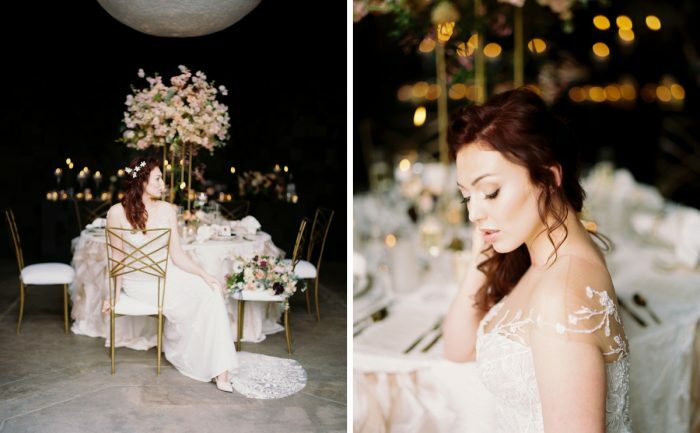 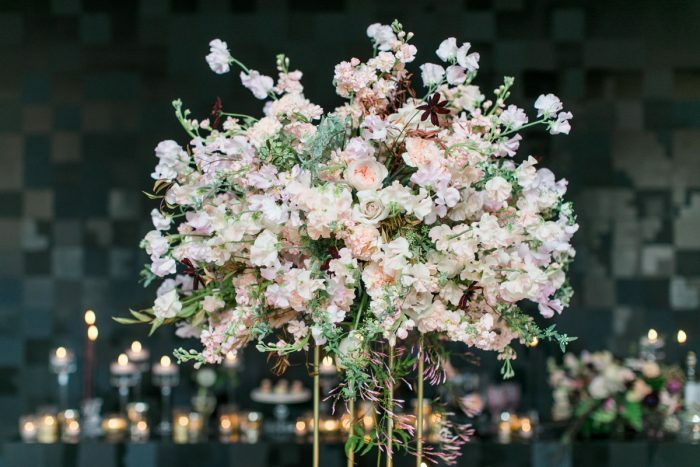 Blush pink has met its match with matte black and this edgy wedding inspiration from Poppy Events. 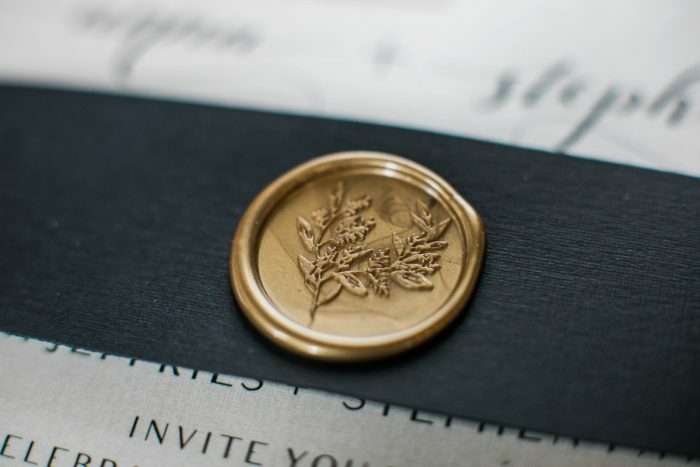 and Steven Dray Images. 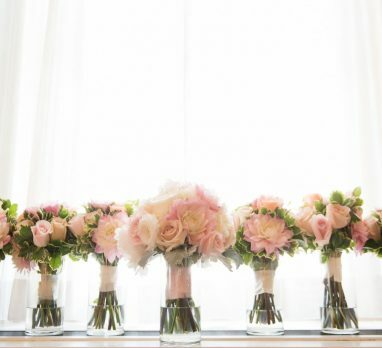 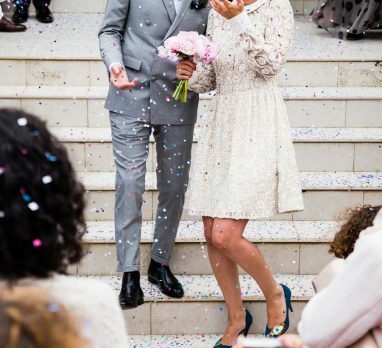 The ever-present soft shade is seemingly the official color of weddings. 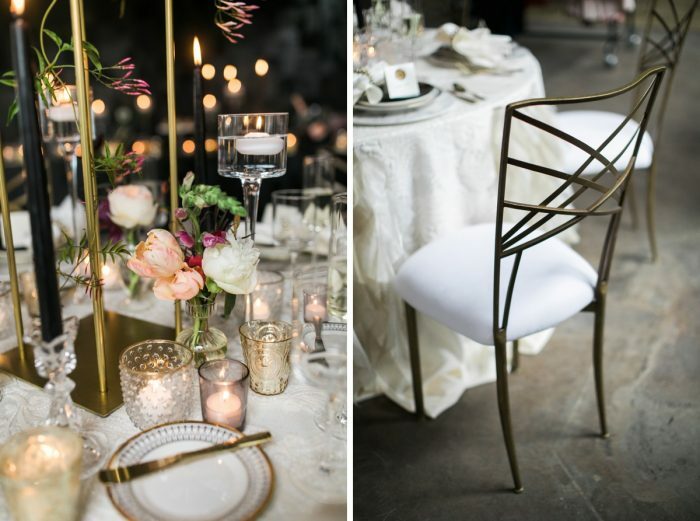 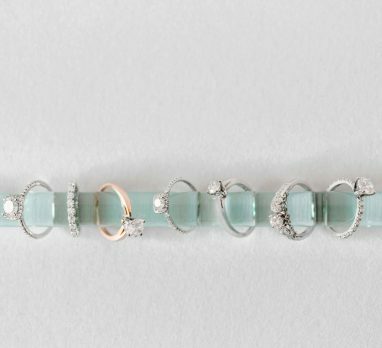 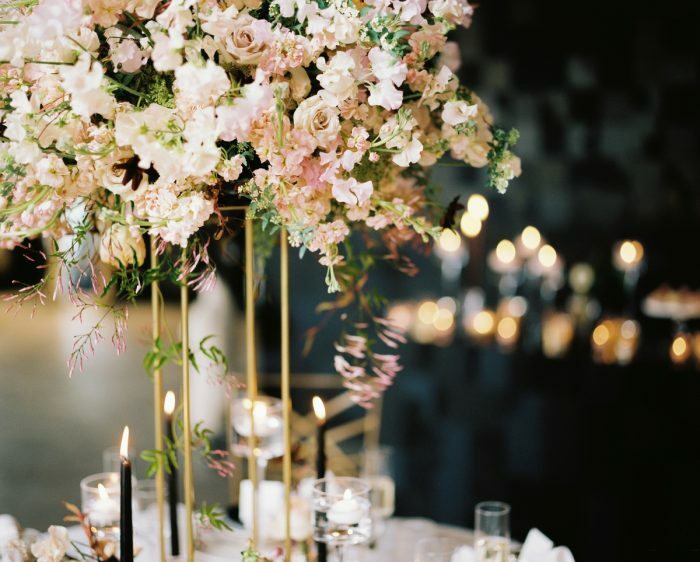 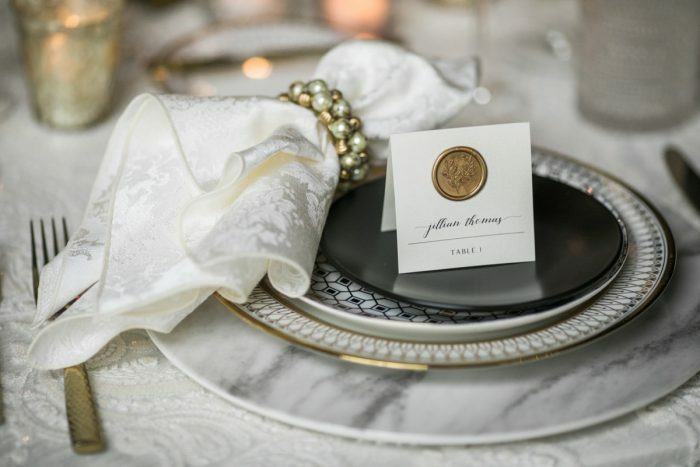 As much as I love seeing it paired with ivory and gold, the look is EVERYWHERE. 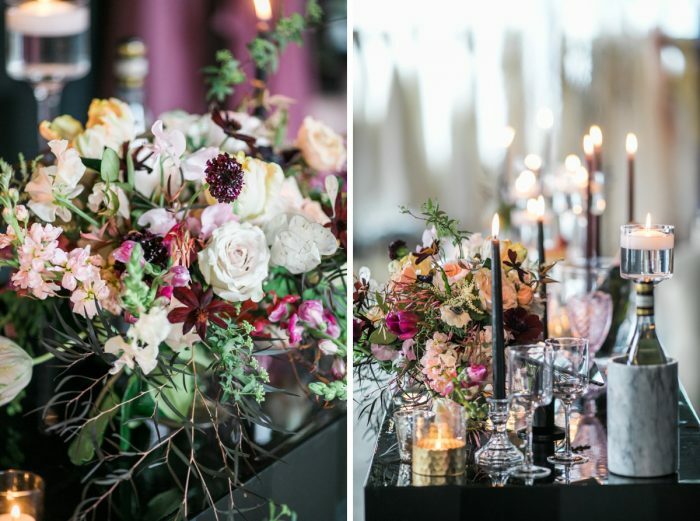 These two visionary event designers capitalized on the popular color trend but gave it a healthy dose of drama. 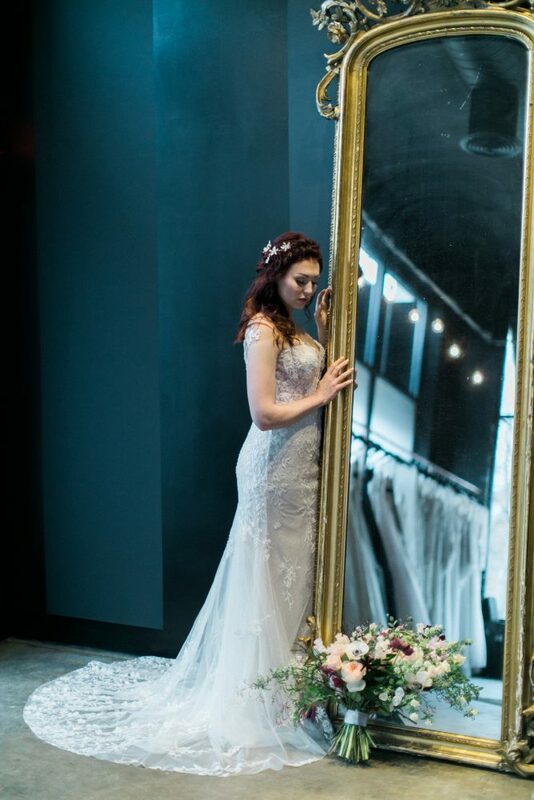 AND I AM LIVING FOR IT. 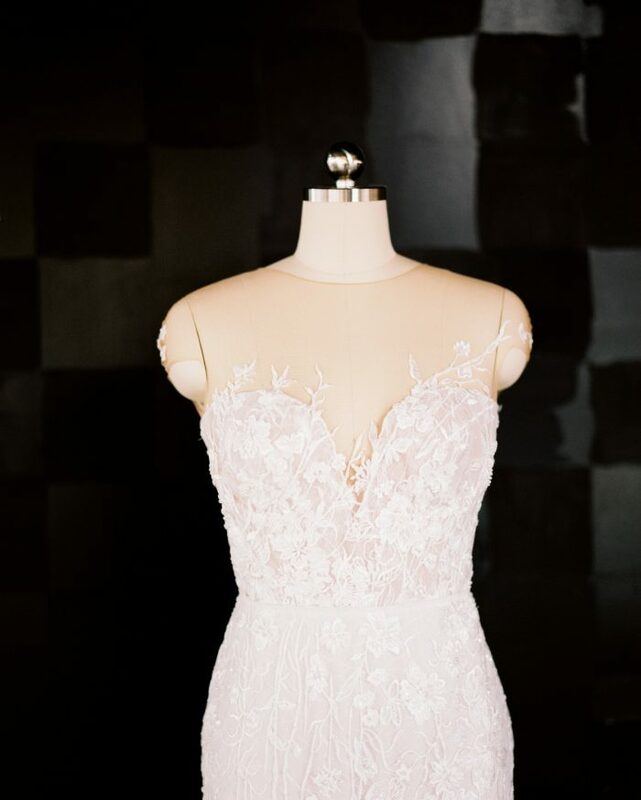 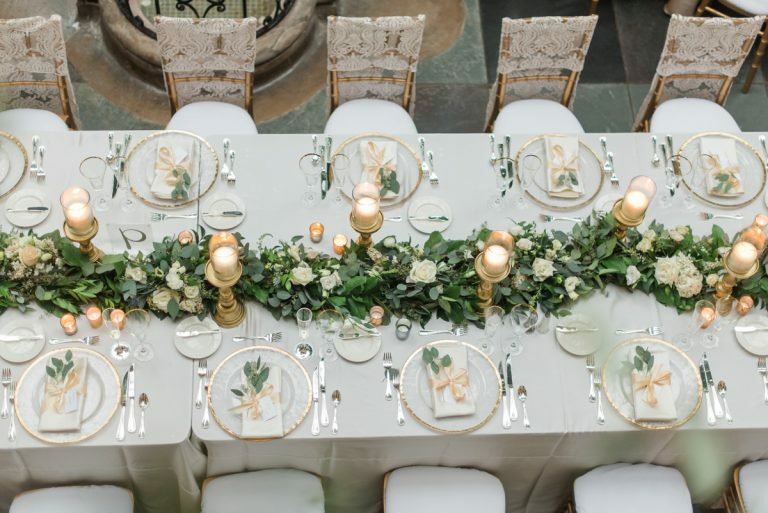 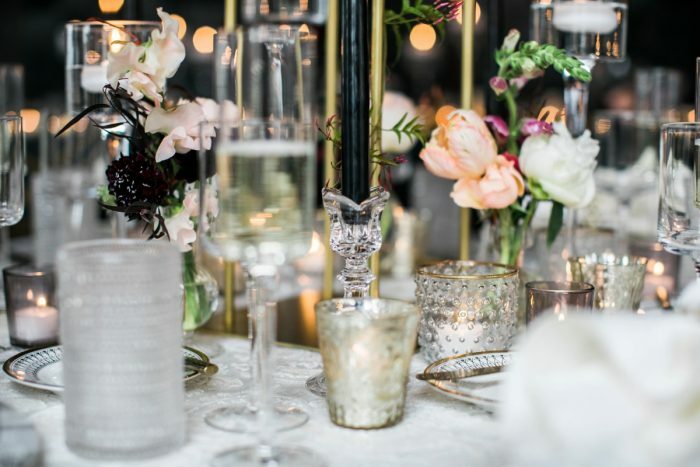 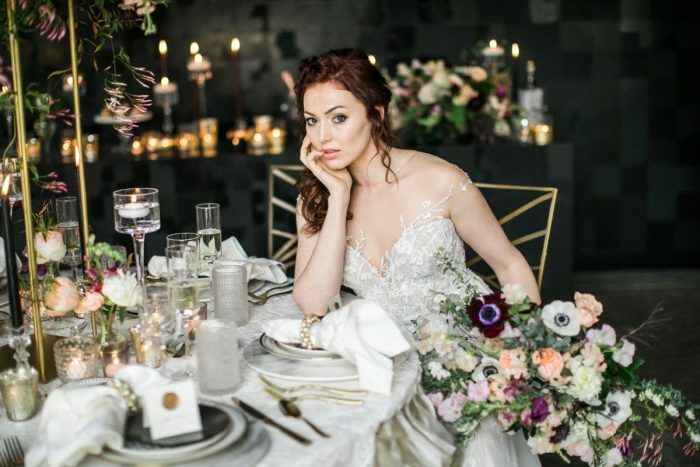 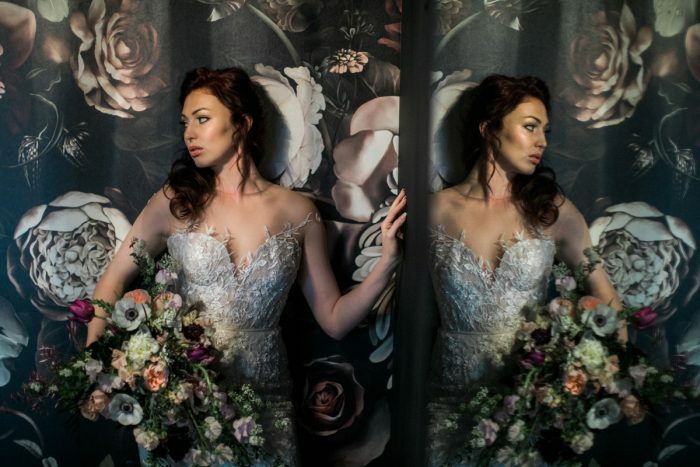 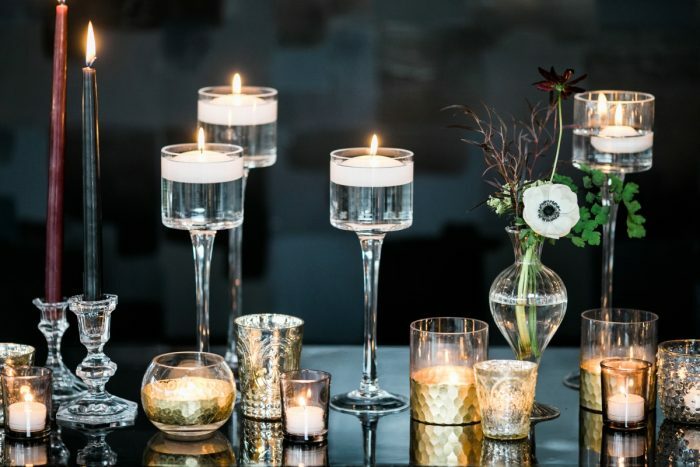 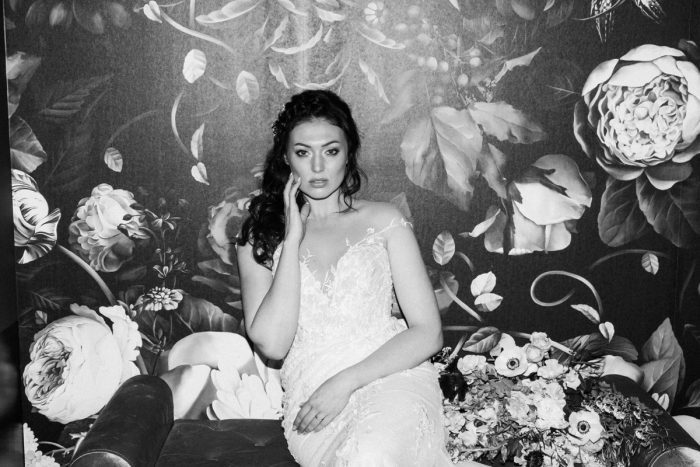 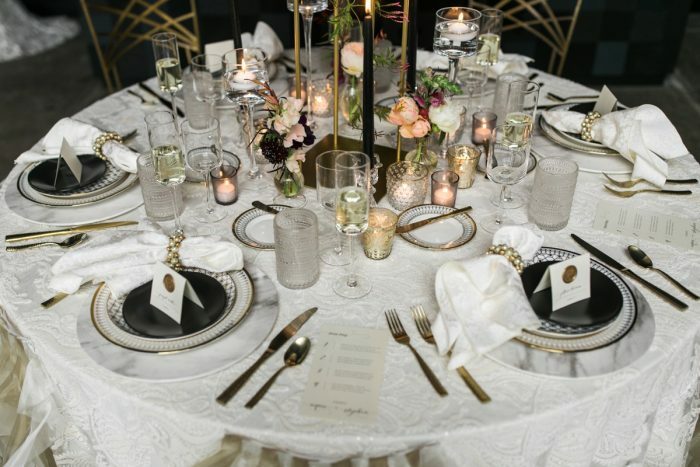 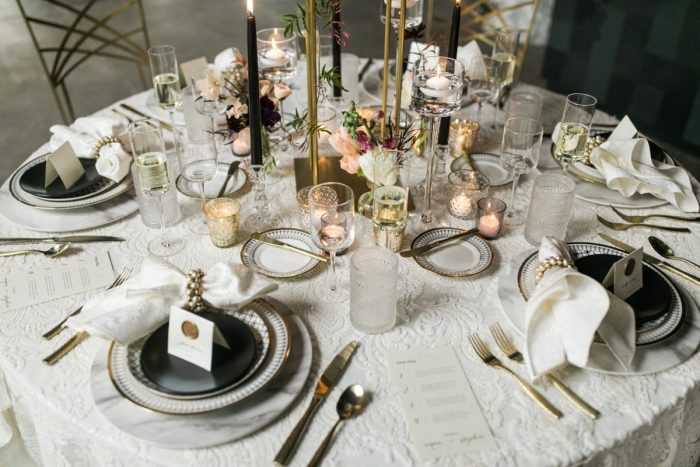 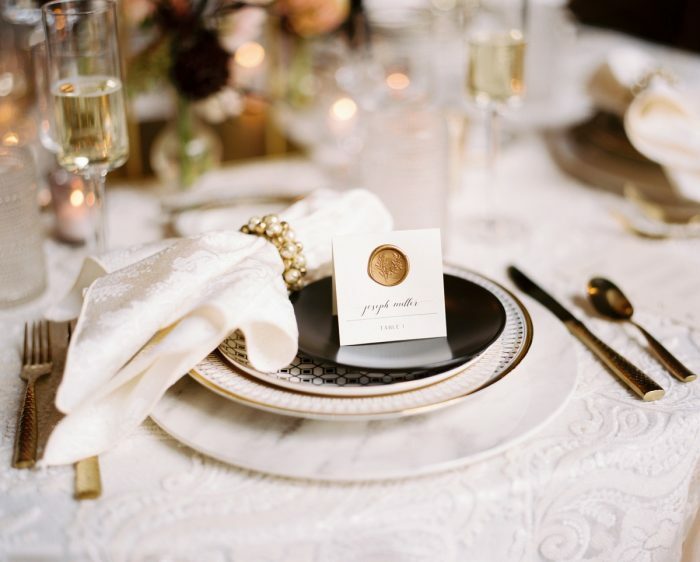 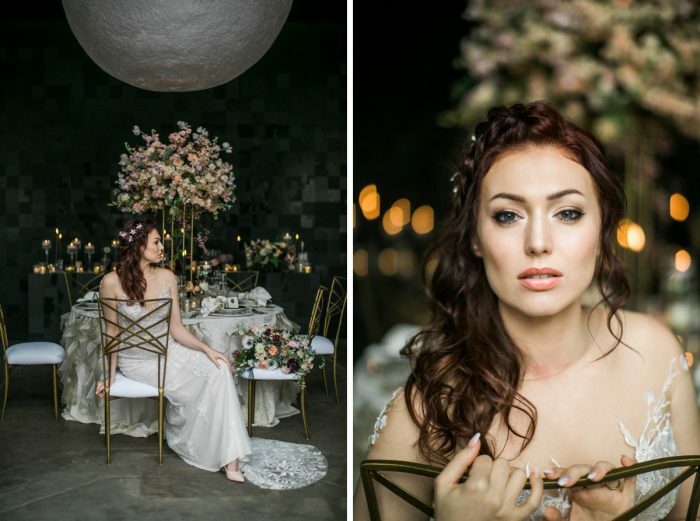 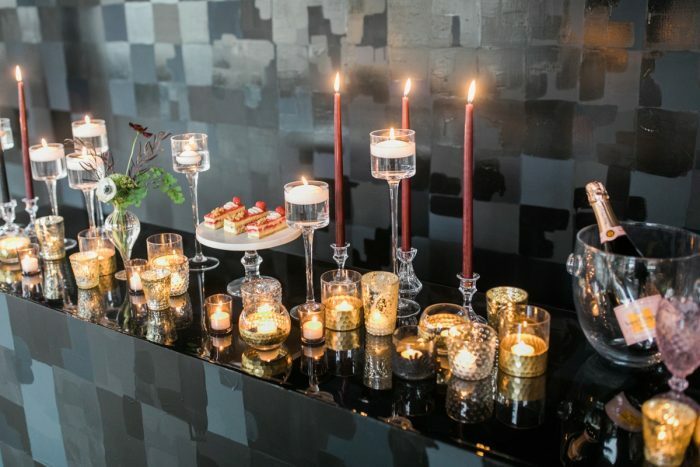 Blending wedding design with fashion trends, the dark backdrop of Luna Boutique was a striking contrast to the refined and elegant tablescape consisting of flowy linens, beaded napkin rings, and dreamy candlelight. 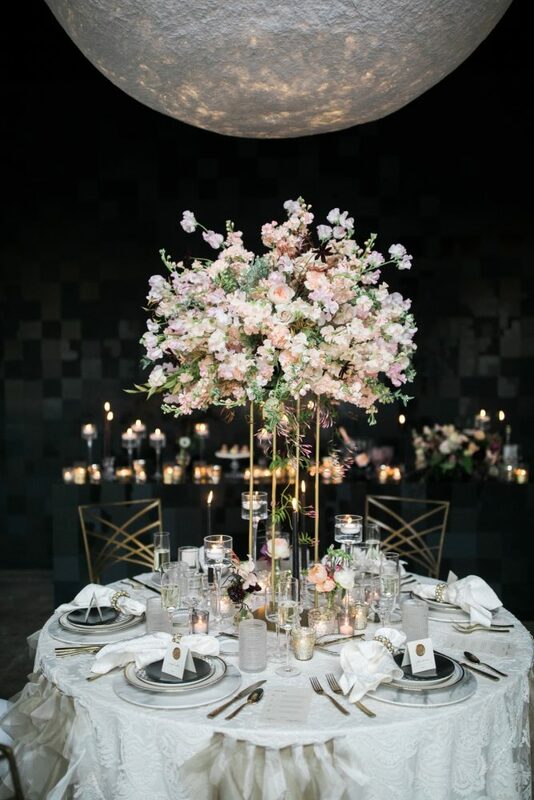 In the middle sat a fluffy cloud of dreamy pink and white florals, elevated by a geometric golden stand, courtesy of Sapphire & Lace Design. 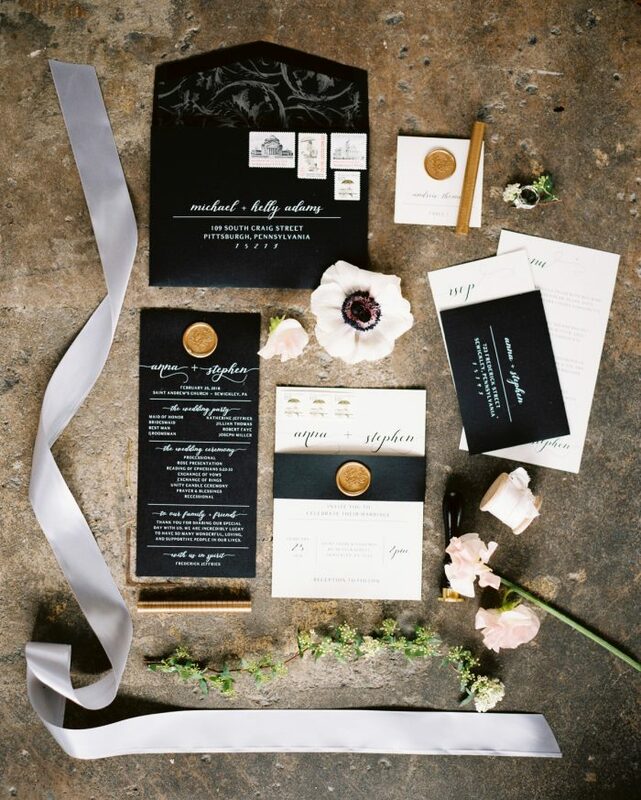 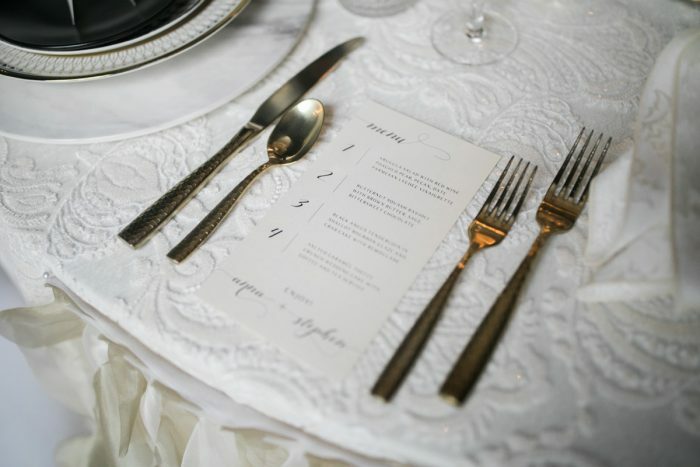 While metallic details added a touch of sparkle, black stationery from Purple Wagon Designs gave just the right amount of chic edge. 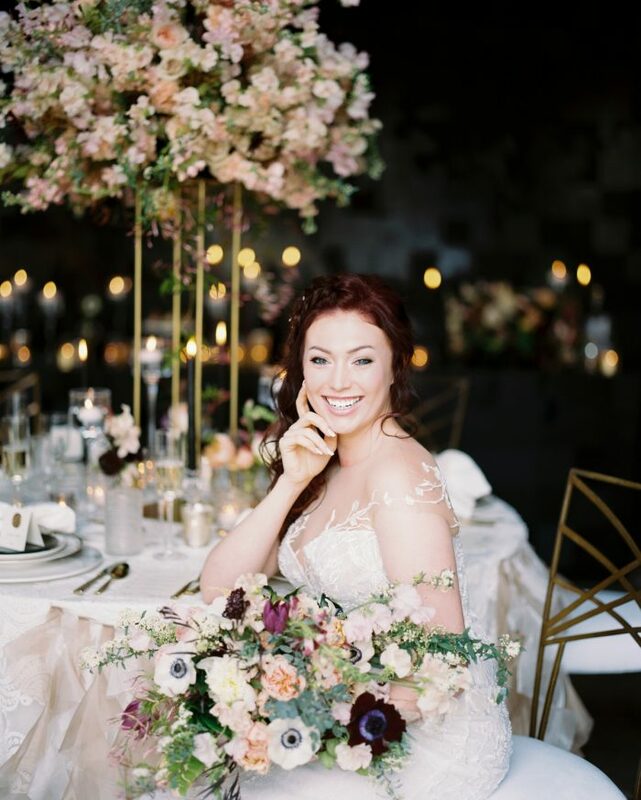 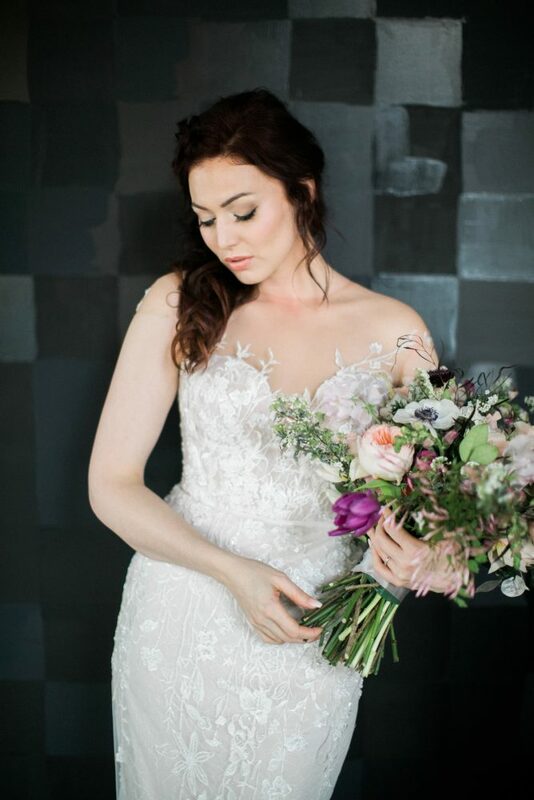 Romantic and swoon-worthy while being hip and modern, this styled shoot really is the best of both worlds.